Kolkata / Siliguri: West Bengal forest department has issued an elimination and extraction order against a man-eater wild leopard suspected to be behind the killing of three children and injury to four persons in north Bengal in the past three months. The order implies that foresters are now free to kill the rogue animal if they fail to capture it alive. This is the first such instance of an order like this being issued for a leopard in Bengal, forest department sources said. Ravi Kant Sinha, the chief wildlife warden of the state issued the order on 29 January following a requisition for the same by the north Bengal’s chief conservator of forests, Ujjal Ghosh. 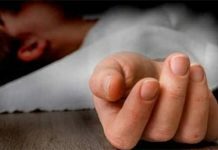 Ghosh, who has been serving in north Bengal for almost a decade under various capacities, had sent the requisition after the leopard killed a girl child at Garganda tea garden in Alipurduar district. 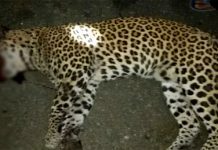 The girl was the third children victim of the rouge leopard in Alipurduar district in the last three months. Besides this, it had injured at least four people. But after the Garganda killing, people burst into anger and vandalised a forest vehicle for the department’s failure to capture the leopard. 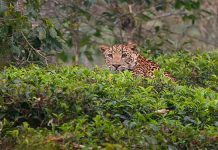 Sensing the raging public anger, the north Bengal chief conservator of forests wrote to the state chief wildlife warden for an “elimination and extraction from landscape” order against the man-eater leopard. Contacted over this today, Ghosh, however, said that their primary effort will be to capture the leopard by firing tranquiliser. Killing it will be the last resort, he said.